Candice Jackson is a victim of oppression. When she was attending Stanford University in the mid-1990s, a minority calculus tutoring group refused to help her because she was white. Sure she could probably afford to pay for private tutoring, but it was the point of the thing. She came from a family where both parents ran medical practices. Her dad, Dr. Rick Jackson, even unsuccessfully ran for Congress. You know – just like black families redlined into the ghetto and struggling to find work because of their African-sounding names. Why shouldn’t the limited amount of tutoring spaces serve her as well as people from traditionally less privileged backgrounds? White lives matter, ya’ll. With that kind of empathy and innate understanding of social justice, I – for one – am overjoyed that U.S. Education Secretary Betsy DeVos has hired Jackson to run the department’s Office for Civil Rights. Well, she’s acting assistant secretary for the office. Technically she was hired as deputy assistant secretary, because that doesn’t require a confirmation hearing. A permanent assistant secretary will have to be approved by Congress – if DeVos ever gets around to nominating one. I’m sure she’ll do that soon. There’s no way she’d sneak in someone who doesn’t believe in civil rights whose main job is to protect civil rights! That would be like hiring a Secretary of Education who doesn’t believe in the mission of public education tasked with protecting public schools! And Jackson is all about civil rights. The 39-year-old attorney is anti-women’s rights, anti-distributive justice and possibly even anti-compulsory education and anti-Civil Rights Act of 1964! I mean what does the Department of Education have to do with civil rights anyway? According to the department’s own statistics, black students are at least six times more likely than white students to attend poor schools. 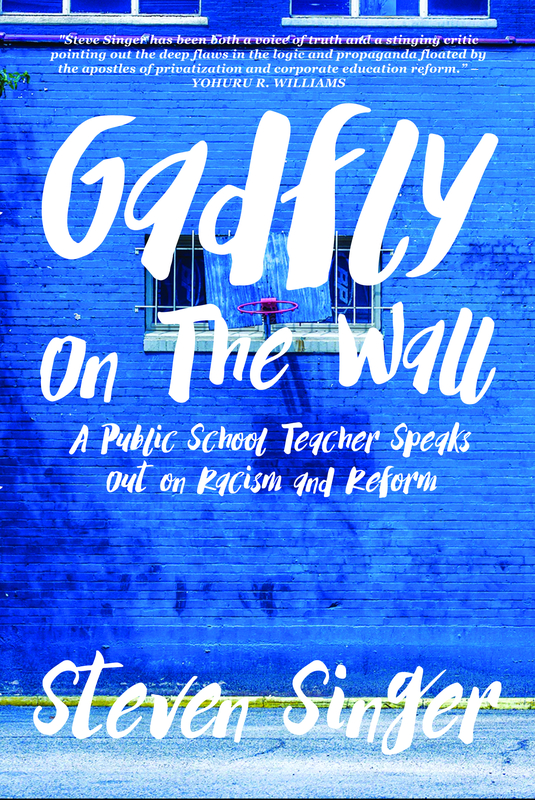 These schools have smaller budgets, fewer resources, a crumbling infrastructure, larger classes and higher student needs based on the trauma of living in poverty – worse nutrition, lack of books in the home, exposure to violence and abuse, etc. Meanwhile, white students are three times more likely than blacks to attend rich schools overflowing with resources, pristine infrastructures, small class sizes, and fewer needs. Is that fair? Should the government do anything about ensuring all students receive the same opportunities? That’s up to… I don’t know… somebody else. And what about all those poor white kids trapped in poor schools with a majority of students of color!? Who’s going to help the six percent of white kids in mostly black schools escape? Betsy DeVos – that’s who! Donald Trump – who is really indistinguishable from Dr. Martin Luther King, Jr., and her are proposing a school voucher program so that these white kids can go to a charter, private or religious school. The black kids? Maybe the choice schools will accept some of them, I mean if the appointed boards and CEOs who run them want to take these kids, it’s really all up to them. We aren’t going to force them to do anything. We’re all libertarians here in Washington now. You wouldn’t want us to trample on the civil rights of charter and private school operators, would you? And we’re certainly not going to do anything to help these impoverished public schools succeed. No additional funding. No preferential treatment! The free market will sort things out – it always does. And people wonder why DeVos needs to be protected by U.S. Marshals at a cost of $1 million a month. Her department is doing away with services the public has come to rely on: protecting special needs students, protecting college students from predatory loans, and now prosecuting civil rights violations. The liberal snowflakes! Pull yourselves up by your bootstraps! Why are you demanding the government provide you with actual services in return for your tax dollars? You should be demanding tax cuts. That way you can just buy everything you need, yourselves, like the billionaire DeVos family and even the well to do Jacksons. It’s a wonder why DeVos doesn’t pay for her own security detail – or why President Trump demands we pay for the extra security for all his trips to Mar-a-Lago. But in any case, the extra security is clearly necessary for DeVos. Every other Education Secretary in history has been able to make due with protection from the Secret Service – from agents already on the payroll and in fact still on the payroll now. But when you’re striping the public of services and enacting programs like school vouchers that Americans angrily don’t want, you need the extra protections. It’s like Saddam Hussein and Kim Jong Un. They didn’t and don’t have Royal Guards just because they love/loved pageantry. They need/needed protection from the people. That’s how you know you’re best serving the people. You need protected from them. This is the conservative dream – federal employees appointed by bureaucrats instead of voted on by representatives, public servants who don’t believe in public service, and a military machine protecting them from the taxpayers. This is the kind of administration that will finally ensure that never again will any white person ever be inconvenienced by people of color and all their needs! Never will the poor or minorities ever receive any federal help that could be perceived by white people as extra help – if we forget about all that we have helping us. Finally we’ll all be equal. And some of us will be even more equal than others!